Foresight Prenatal Clinic is the first Maternity Clinic in Bangladesh to Introduce Nuchal translucency (NT-Scan) Scan. There is a collection of fluid under the skin at the back of a baby’s neck. It can be measured using ultrasound when your baby is between 11 and 13 weeks and 6 days old. All babies have some fluid, but babies with Down’s syndrome may have an increased amount. The Nuchal translucency (NT) Screening scan assess whether the baby is likely to have genetic defects like Down’s syndrome, Neural tube defects, 18-trisomy syndrome or Edwards syndrome, 13-trisomy syndrome. A screening test can only assess the risk of your baby having these defects. Where as a diagnostic test, such as Chorionic Villus sampling (CVS) or Amniocentesis will give you a definite diagnosis (but carries a risk of miscarriage). 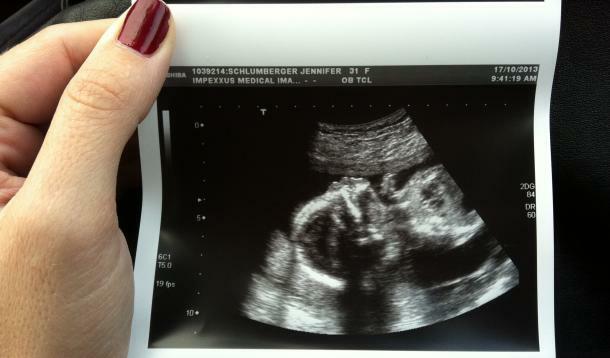 The NT scan cannot tell for certain whether the baby is affected. However, it can help you decide whether or not to have a diagnostic test. Combining NT scan ultrasound with the blood tests gives a more accurate result. This combination test is also called OSCAR (One-stop Clinic for Assessment of Risk for fetal Anomalies) and is carried out in the first trimester (11 to 14 weeks). It is a test to screen for chromosomal abnormalities. The blood test measures the levels of the hormone free beta-hCG and the protein PAPP-A. Babies with Down’s syndrome tend to have high levels of hCG and low levels of PAPP-A. The risk assessment is done by a combination of maternal age, fetal length, fetal Nuchal Translucency (NT) and serum biochemistry at 11 to 13 weeks and 6 days into your pregnancy. The detection rate of Down’s Syndrome by NT and serum biochemistry method is about 90% accurate. This is far superior to the 65% by maternal age and 2nd trimester serum biochemistry; and 80% by NT and maternal age in the first trimester. The test will enable you to decide whether you need any further invasive tests such as Chorionic Villus sampling or Amniocentesis.